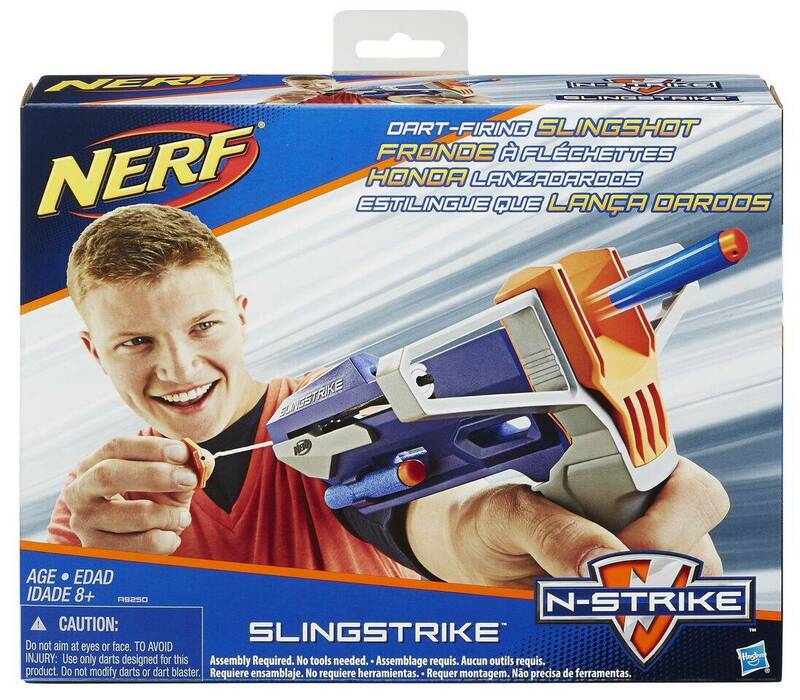 Catapult darts through the air with the first-ever Nerf dart-firing slingshot! the SlingStrike blaster comes with 2 Elite Darts that you can store on its arms. Load it with a dart and pull back the string to fire. You'll be a super fast dart-slinger with the SlingStrike blaster!